Together All Americans CAN Bring Full Circle the Healing Process for the Unangaxˆ through your generous support & sharing our vision to finally rebuild these critical healthcare facilities in the Aleutians Islands! The new Unalaska Hospital and Atka Health Clinic will serve as beacons of hope as our Tribes strive to recover from their forgotten story of historical WWII trauma. 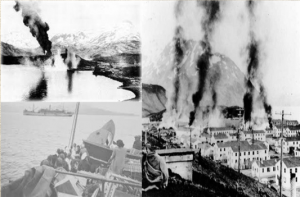 Let us, as fellow Americans, not forget the devastation of the war… and the tragic impact suffered as a result of this foreign attack on American soil in the Aleutians over 71 years ago.